If you’ve been following along, this is the 4th article in our “Foundations of Skin Care” series, where I dive deep into each element of a balanced skin care routine for acne prone skin! 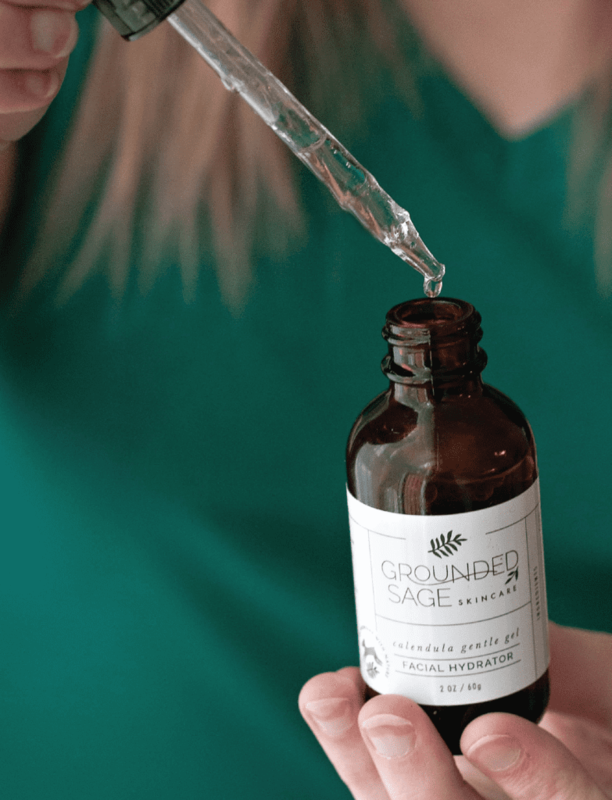 How to pick the best cleanser for acne prone skin (in 3 steps) – a MUST read because we narrow down your external triggers of acne! Batty’s down and dirty guide to exfoliating for acne prone skin – what you need to know (and avoid!) when exfoliating acne prone skin (including how to make sure you don’t cause more breakouts in the process!). Today we’re diving into the next instalment of our foundational series for acne prone skin. And while you might be tempted to skip over this lesson on hydration, I urge you not to! Why? 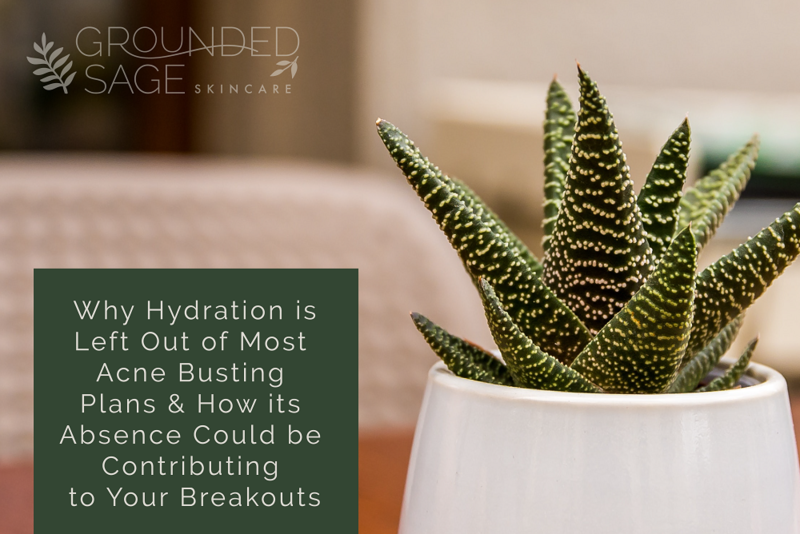 For one, hydration is the number one missed step I see in skin care routines – especially routines that are supposed to be targeting acne. Yes, moisturizing gets left out a lot too by acne sufferers (I’ll cover why this is a no-no in the next post of this series). Secondly, dehydrated skin contributes to the vast majority of skin problems – and for some, is a major trigger of acne! It’s certainly a major cause of congestion and blackheads – so this is an article that’s not to be missed! Without hydration, you’ll never have a balanced routine or (more importantly) balanced skin. In other words, why do those with acne prone skin need to care?! 1) Balance and why you may have oily skin! To be healthy, glowing, and radiant, our skin needs a balance of water (inside the skin) and oil (just outside the skin). When we don’t have enough water, our skin often reacts by pumping out more oil to make up for the lack of water. Sounds backward, I know, but here’s what our skin is thinking: Oil acts as a protective layer for the skin, and if the skin isn’t able to hold on to enough water, our skin thinks “uh oh! Time to fix up that barrier!” – cue the flood of oil! 2) Congestion, Blackheads, and Breakouts! The second reason that hydration is important, especially for acne prone Radiant Rebels, is that for our pores to remain clear, oil needs to pass through them (on the way to the surface of the skin) without being held up or slowed down by anything. When our skin is dehydrated, our pores aren’t well lubricated. Oil can’t pass through them as easily as we’d like. When the oil is slowed down (or gets caught up by dead skin cells that haven’t been flushed from our pores), it runs the risk of drying up. This creates a hard plug or blockage inside the pore (hello congestion, blackheads, and/or acne). is so important, let’s talk about how dehydration shows up. Oily Skin – Remember what I said about our skin pumping out more oil to make up for the lack of water? If your skin is oily, hydration is an absolute MUST to slow down the oil slick. Oily yet dry skin – This often feels like the skin is a bit tight yet it’s oily to the touch. It can show up as skin that’s oily yet it also has flaky patches. This is especially noticeable after washing your face or applying makeup. Your skin doesn’t feel plump or appears dull. When our skin is well hydrated, it has a smooth, almost dewy appearance. It looks full (not shallow), supple, and bounces back easily when touched. If your skin doesn’t feel smooth, there’s a good chance it’s dehydrated. 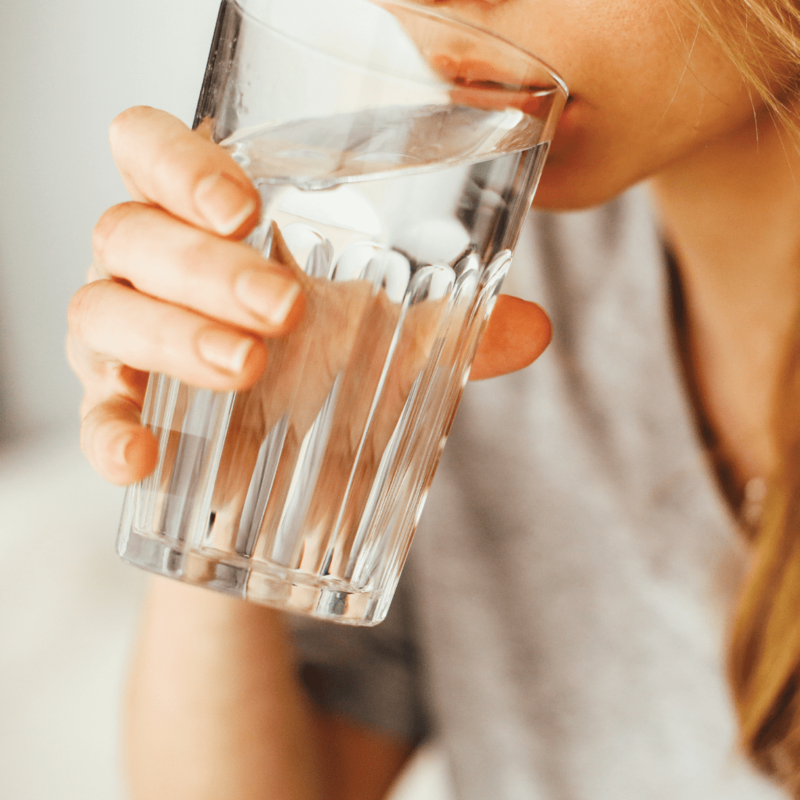 Does your skin have the telltale signs of dehydration? If so, don’t worry! Hydration is an easy component to work into your routine! Start by figuring out what the best hydrator is for your skin! You can do that quickly and easily by using our “perfect hydrator quiz“. Once you figure out what hydrator to use, now we need to determine how often to hydrate. This is pretty straightforward: every time after you wash your face! So after you finish cleansing and/or exfoliating, and before applying any other products (like a moisturizer, serum, or foundation), apply your hydrator. Now the final step, and something you’re likely doing already! The final step is sealing in the hydration with a moisturizer or serum. This is extremely important! Without sealing in your hydrator, a lot of that hydration will be lost before your skin can absorb it. So, after applying your hydrator, layer over a serum or moisturizer. Find your perfect moisturizer here, or grab a complete routine worksheet here. Our skin can lose water QUICK when our oil barrier is damaged (or we’ve been stripping off our oil barrier – more on that in a future post) or we’ve never supported the water side of the balancing act (note: moisturizing ISN’T the same thing as hydrating!). So consistently hydrating your skin will be the key to moving your skin towards radiant balance. Hydrate in the AM & PM to bring your skin into well-hydrated harmony. Also, if you really want to support your skin’s re-hydrating journey, give it a boost with hydration-packed masks. I have a super simple tip for squeezing a facial mask in every day – and this tip doesn’t require you to block out any extra time in your schedule, visit a spa, or follow some complicated ritual! While other elements of balancing our skin can be solved quickly, hydration usually isn’t one of them. Recognizing that our skin is dehydrated and figuring out what techniques will bring it back into balance is a quick process. But actually re-hydrating our skin isn’t so quick. While almost all Radiant Rebels will see an improvement in their skin within the first 2 weeks of introducing hydration into their routine, some need more time. This is where trusting the process as well as being gentle and patient with your skin will see you through to radiantly balanced skin! Believe your skin is giving you the right message (that it needs to be hydrated) and trust that you’re giving your skin what it needs. This is what saw me through the almost 6 months it took to fully bring my skin back from the point of significant dehydration (thankfully, my skin story around hydration isn’t the norm, but I wanted you to be aware of it just in case you find yourself on the fringes of skin care stories like me!). While some Radiant Rebels will be pre-disposed to water loss (and therefore dehydration), there are several other factors come into play for all of us. Check out the potential dehydration accelerators that will increase the need for hydration in your routine below. Note that a balanced routine, as we’ve learned, needs a hydrating step each day (and all year long). There are also certain times when we’ll want to increase our hydration efforts. Keep reading for more info! Smoking affects our skin in many ways (hello wrinkles and fine lines) by depleting the skin of oxygen and nutrients. 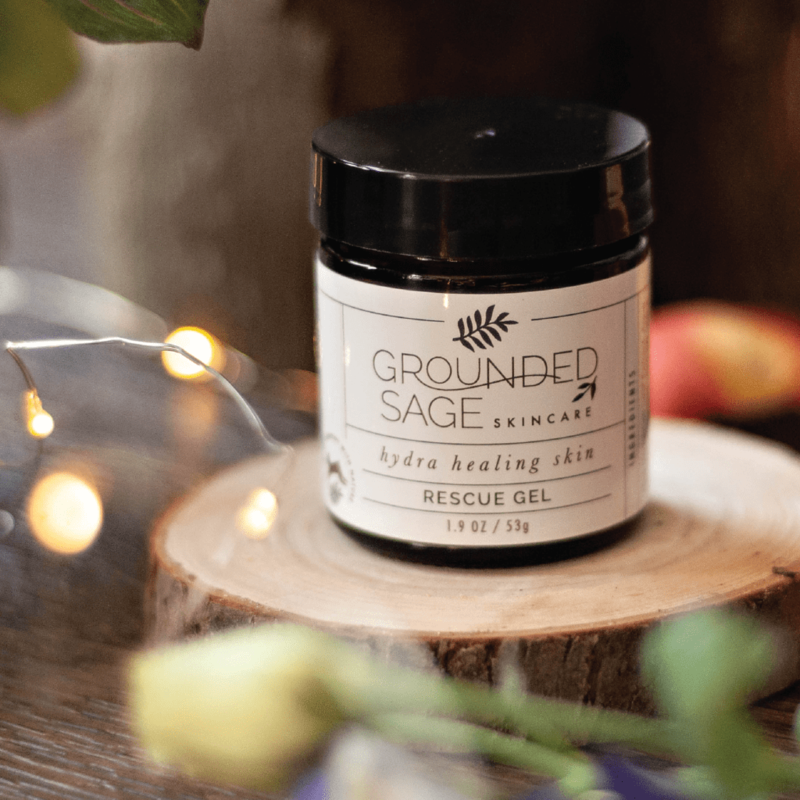 This, in turn, impairs its ability to heal, form collagen, or maintain a healthy protective barrier (therefore allowing hydration to escape from our skin). If you’ve ever taken Accutane, your skin could be constantly (and consistently) prone to dehydration. This is certainly the case for me – even though Accutane was something I took in my teens, it still affects my skin’s ability to stay hydrated today. I’ll explain why in our next article in this series. (Pst, for the record, Accutane wasn’t my acne saviour like it’s touted to be – some of my acne story is available here). That being said, Accutane isn’t the only medication that can contribute to dehydration. Other medications (both topical and oral) can contribute to dehydration as well as certain illnesses and disorders. The definition of “a lot” will be different for everyone. A good rule of thumb is to avoid an excess of salt in your diet (especially if it’s not sea salt!). Coffee and other diuretics cause our body to lose fluids which, as you guessed, is the last thing we need when we’re trying to get our body (and skin – the body’s largest organ) to hold on to water. Again, the definition of “a lot” will differ for everyone. Such as humidity fluctuations, increased exposure to cold or forceful winds, and rapid change in temperature (like going from inside to outside when the indoor heat or AC are running). This accelerator for dehydration becomes most apparent in autumn when we turn on our heat as the temperatures outside dip. Consider turning on an indoor humidifier (especially in the bedroom as that’s where you’ll spend a significant amount of time – if you’re getting enough sleep that is). I like using a small essential oil diffuser in our bedroom. I don’t always put essential oils in it, many nights I just use water. If I feel winter cold coming on, I’ll add a few drops of lavender, tea tree, or eucalyptus essential oil to the diffuser. Being prone to either redness or rosacea usually means your skin is also prone to dehydration. These skin types experience more “transepidermal water loss” or TEWL, especially if their skin’s protective barrier is damaged. This is something we’ll talk about in a future article. You’ve completed another step in your learning journey and added “hydration rebel” to your repertoire! 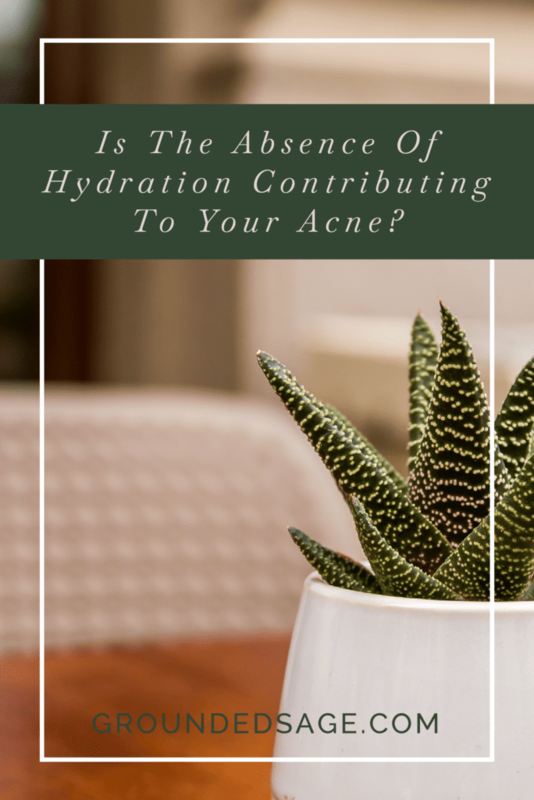 We need to infuse hydration inside our body (drinking water) as well as inside our skin (using topical hydrators) to combat loss of hydration that our skin can (and often does) experience regularly. We’ll talk about how to slow down the loss of hydration in our next installment of this series! Until then, if you missed the first few lessons of this series, catch up on them here.